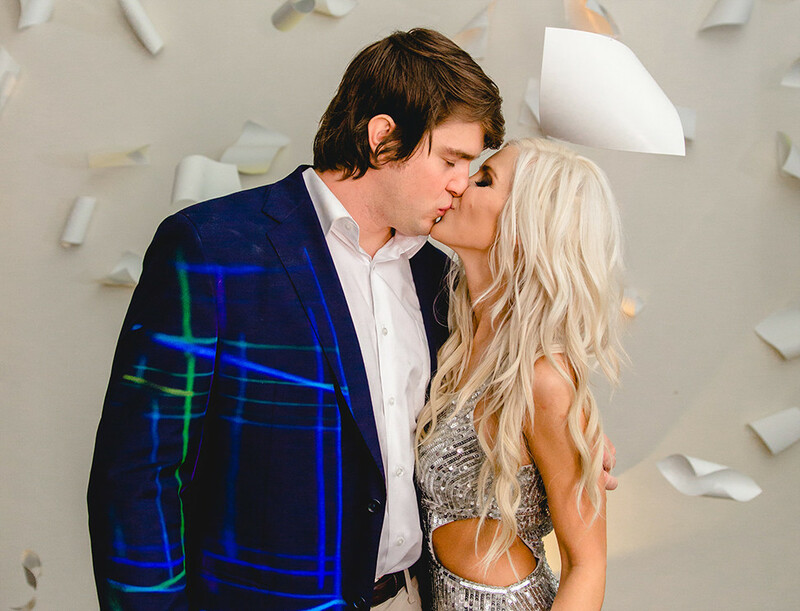 Real Bentonville Wedding: Cameron Housley & Beau Sutherland Jr.
For a couple that cherishes travel, it only made sense for Cameron Housley and Mark “Beau” Sutherland Jr. to elope. 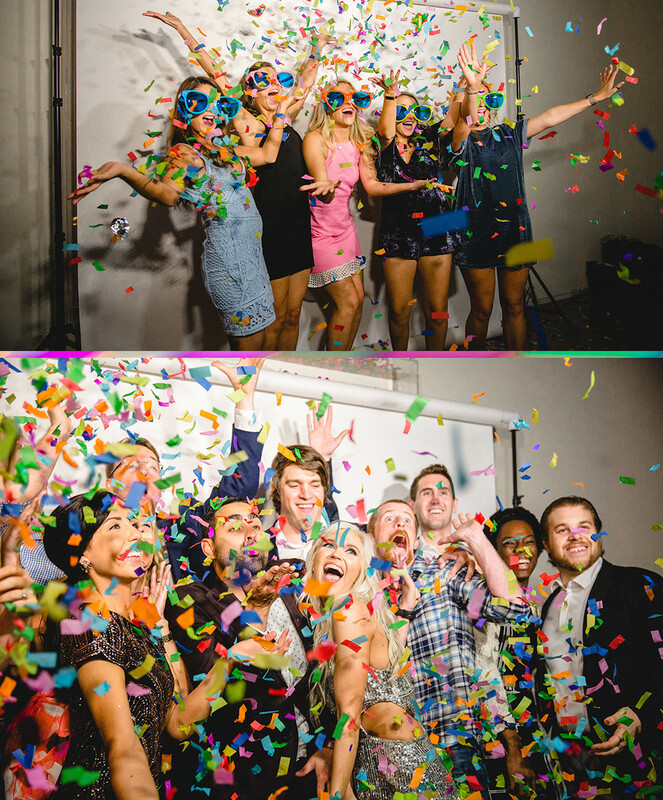 Cameron Housley & Mark “Beau” Sutherland Jr.
For a couple that cherishes travel, it only made sense for Cameron Housley and Mark “Beau” Sutherland Jr. to elope. 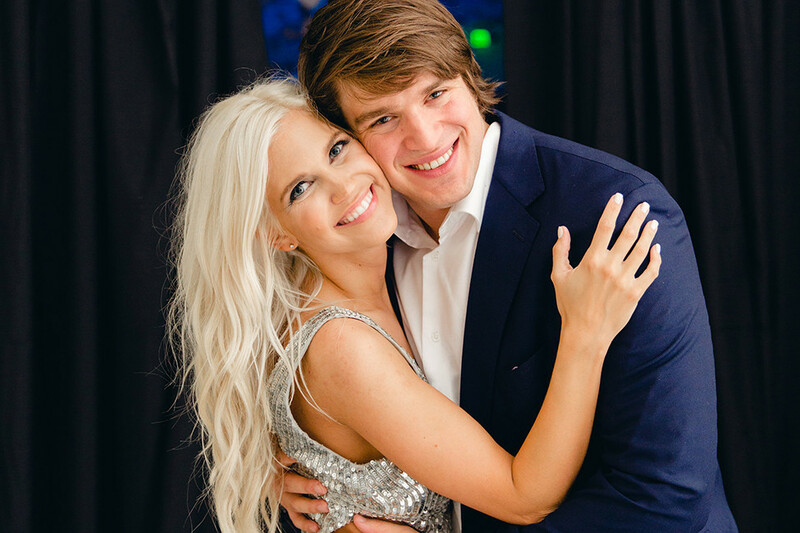 The two met during the summer before their senior year at the University of Arkansas and dated seven years before tying the knot. During that time, Cameron finished law school and the two lived abroad in Austria and Australia. They were never in a rush to get married because they knew it was forever. On the day of the wedding, the couple traveled down a private road in Iceland to the secret waterfall location where they would say their vows. 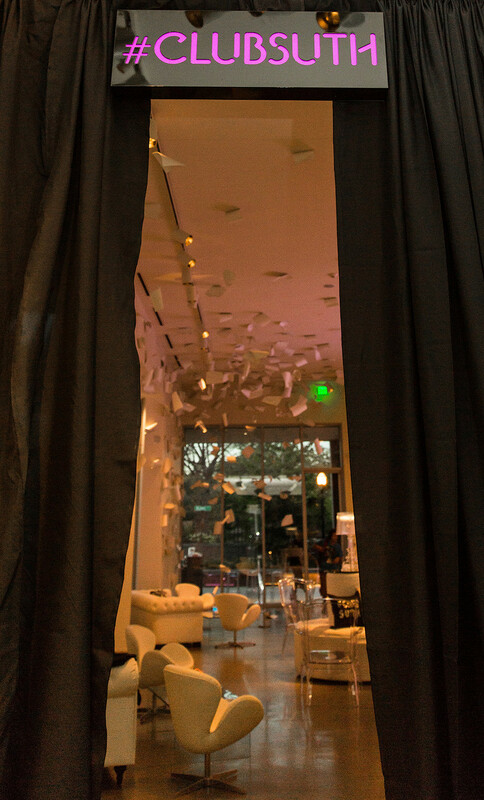 The only décor was black benches covered in reindeer fur for their guests. 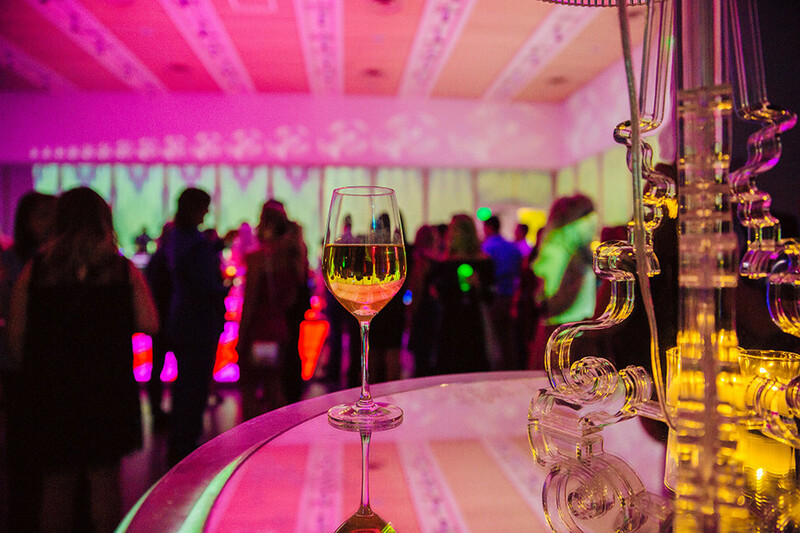 The reception was all about bringing friends and family together to celebrate back home in Arkansas. 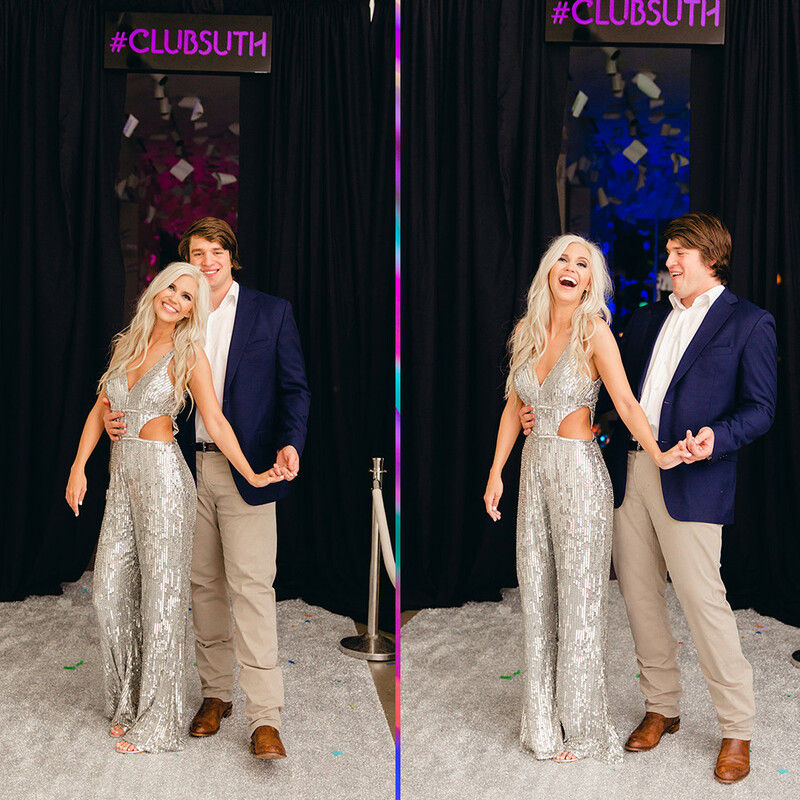 Cameron and Beau wanted a fun, nightclub theme that they dubbed “Club Suth.” Cameron took the idea to her planner Amanda Reed and let her transform 21c into a gorgeous club scene. 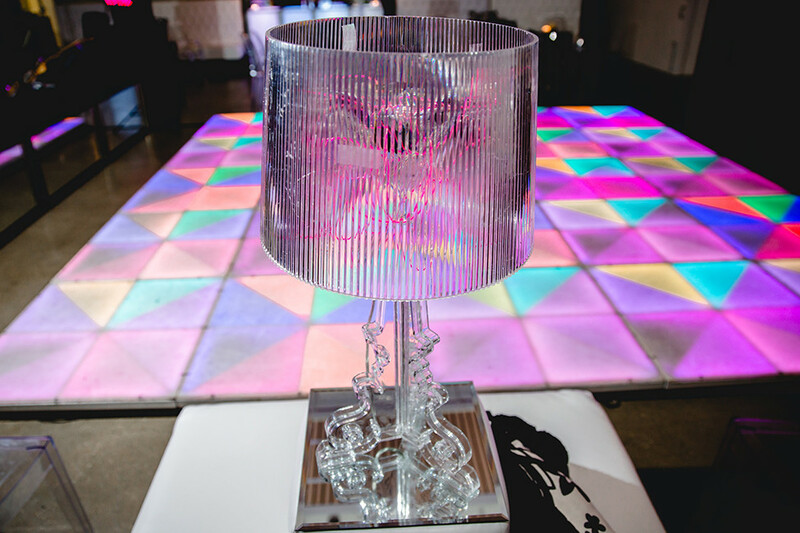 Cameron and Amanda chose a color story of white and silver with bold pops of neon. 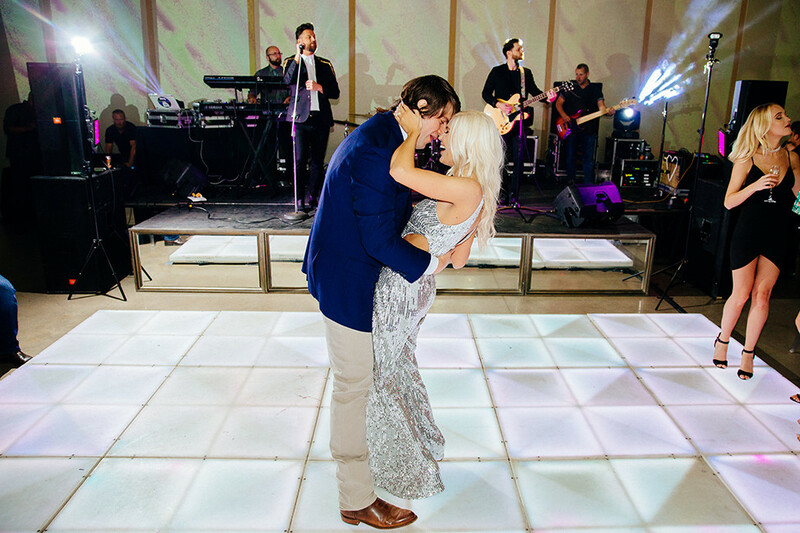 Since it was a non-traditional reception, Cameron and Beau ditched the usual wedding staples like a first dance and cake cutting, and instead opted for a whole lot of dancing, drinking and celebrating. 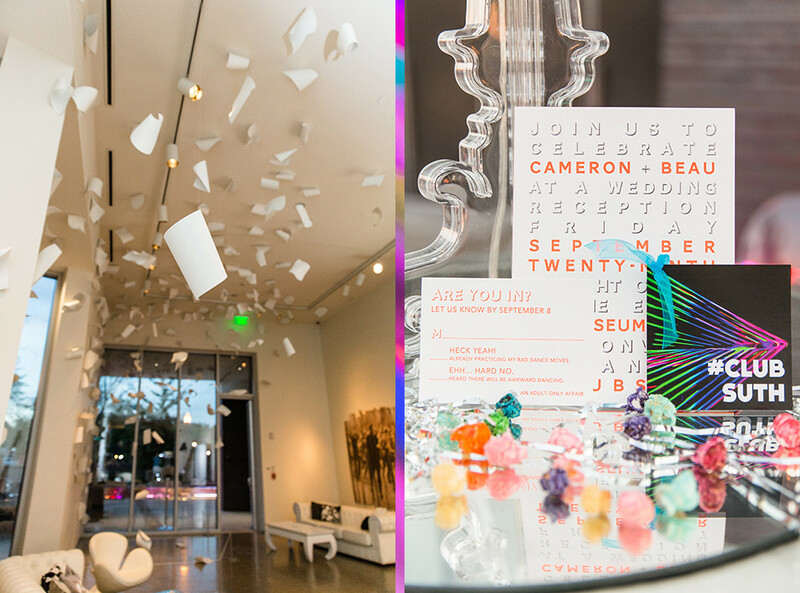 To set the vibe, Cameron and Beau opted for super modern neon and platinum letterpress invitations and RSVP cards from Shindig Paperie. 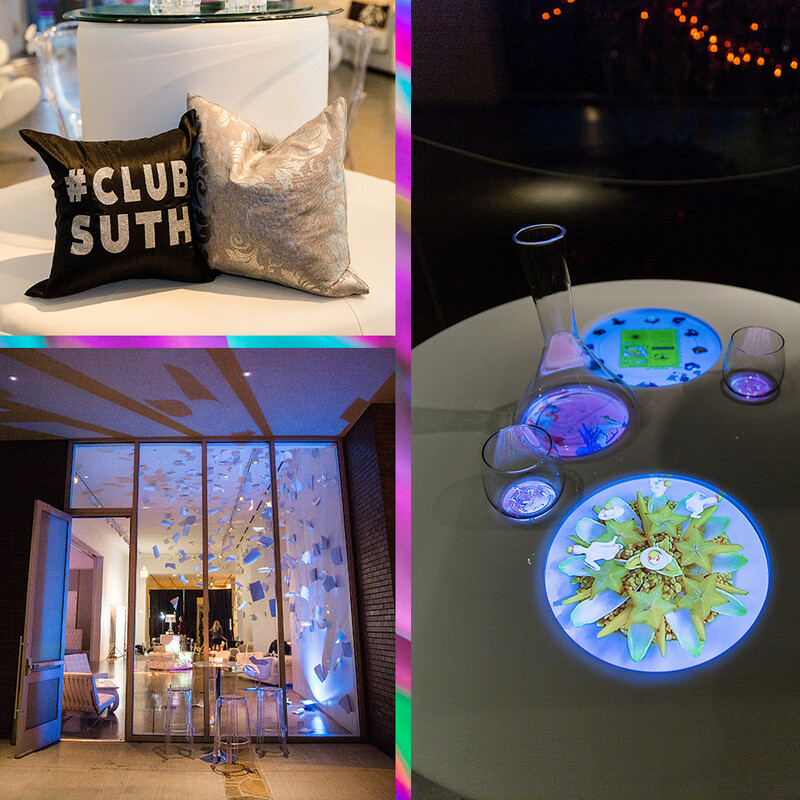 Amanda created a nightclub-style entrance with a custom purple #ClubSuth sign made of LED lights, silver carpet and silver stanchions. 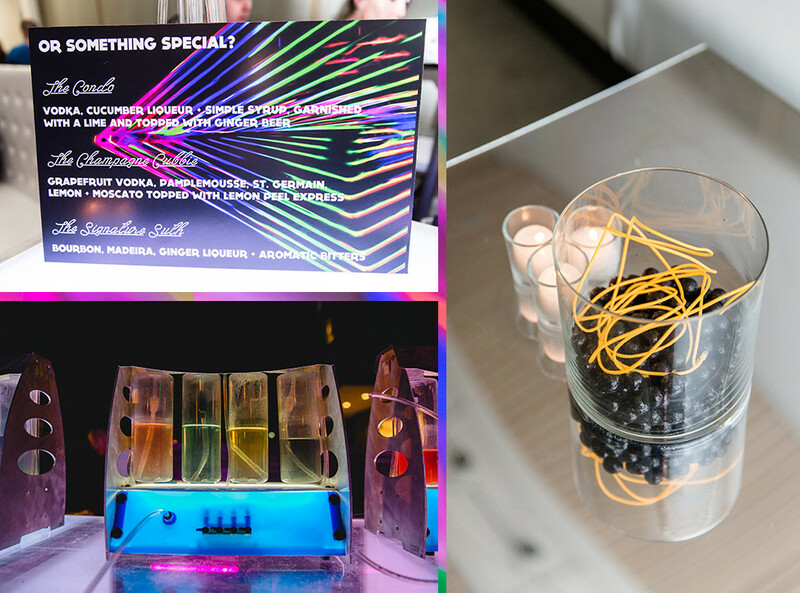 The couple also rented an oxygen bar, which really made the nightclub theme come to life. 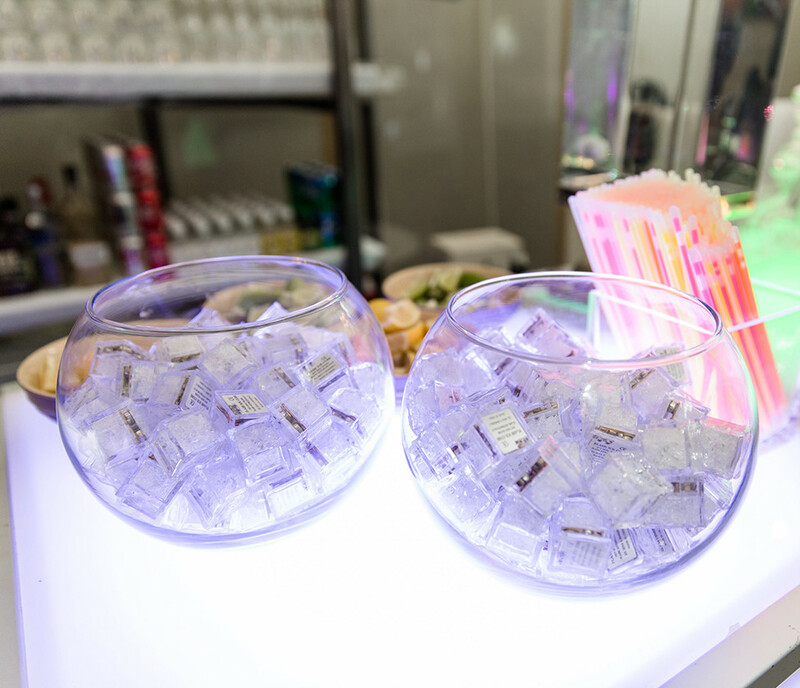 ♥ Wedding vendor we love! Discover more inspiration in Arkansas Bride's Real Weddings section.